A few hundred years ago, no one would have imagined it would be routine for people to hurdle down the road in heavy metallic contraptions capable of causing severe damage to property and human lives. If you really think about it, driving is pretty scary, especially with the large number of uninsured drivers on the roads. Luckily, practicing safe driving techniques and having adequate car insurance mitigate the chance of both crashing and having financial problems as a result, but the many auto insurance laws in each state can make it difficult to know how much insurance is the right amount. The following information sheds light on how auto accidents with uninsured drivers often play out and how you can protect yourself from getting stuck with expensive bills as a result. Despite how comfortable people are in their cars, the truth is that driving is one of the most dangerous activities people do on a daily basis, with even minor fender benders have the potential to cause neck or back injuries requiring multiple doctors visits or extensive physical therapy. On top of this, because many people can't afford car insurance, a significant number of the drivers out on the road don't have any insurance whatsoever. In 2015, 13 percent of motorists nationwide drove without insurance, though that rate is actually closer to 20 percent of drivers in the state of Michigan, say reports on uninsured motorists by the Insurance Information Institute . Because litigation processes following auto accidents consume valuable time and resources for the plaintiffs and court system, many states opt for no-fault systems. Twelve states and Puerto Rico have no-fault auto insurance laws on the books, including Michigan, which limit the cases where people can sue each other for either injury or property damage costs, according to the Insurance Information Institute . As a result, if you've been injured by an uninsured or underinsured motorist, you may have to pay your own resulting medical bills and for the repairs to your car, unless you have extra coverage or the accident left you disabled or with bills over a certain threshold, states the Michigan Department of Insurance and Financial Service . Everyone realizes that driving without insurance is dangerous, but more people drive with the least amount of auto liability insurance, which still doesn't give nearly enough coverage for the bulk of auto accident costs. "Under the law, motorists may drive with the minimum of $20,000 worth of insurance, which is not enough to cover the damages and the most serious accident-related injuries," according to legal experts at Goodman Acker P.C . Figuring out how to cover gaps in your insurance coverage is well within your best interest, as even a person with the least amount of insurance will leave you to pay the majority of your bills, even if the accident wasn't your fault. Because gaps in the law and in traditional property protection insurance have left people out in the cold following serious accidents with uninsured drivers, many experts recommend uninsured motorist insurance. This type of insurance adds on to your main auto coverage to bridge the gaps that can leave you and your family vulnerable to emptying your hard-earned savings or even bankruptcy, in the worst cases. With or without extra coverage, insurance companies, look out for their interests, so if you are facing the prospect of paying out-of-pocket expenses because of an uninsured driver, you'll need someone on your side. If you've been injured in a car accident, calling Goodman Acker P.C. 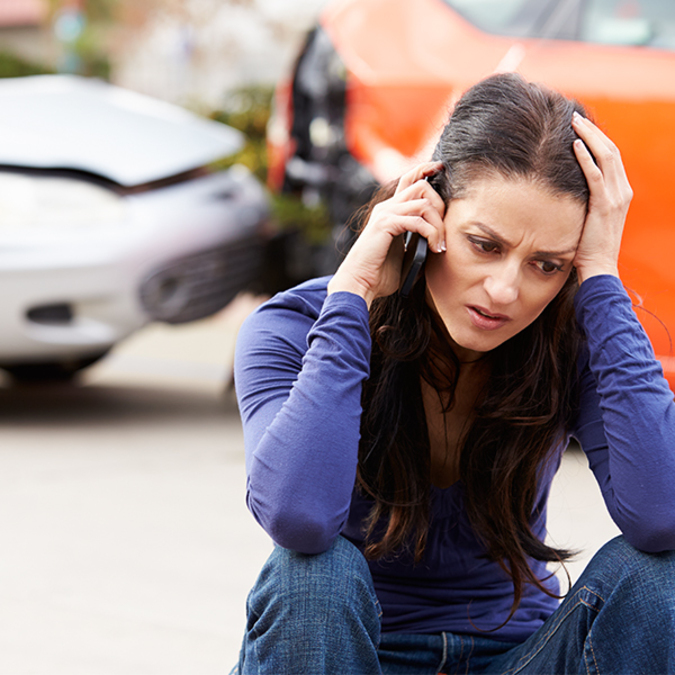 can further protect you from the effects of dealing with uninsured motorists and out-of-control accident bills.